Sugiyama-san, Steel Diver has been in the works for some time now, hasn’t it? Yes. We first exhibited the Nintendo DS system at the E3 2004.5 Steel Diver began with our technical demo there. 5E3 (Electronic Entertainment Expo): A video game trade show usually held once a year in Los Angeles. My impression back then was that it was well-received. A lot of people said they enjoyed playing it. But it didn’t see the light of day right away. 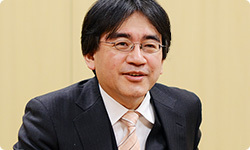 After that, you were busy developing Wii Fit6, among other things. 6Wii Fit: A fitness type game released for the Wii console in December 2007 in Japan. When did you start coming under pressure to polish it up? Quite a while after that E3. NOA (Nintendo of America) wanted us to release it for the Nintendo DSi system. I started saying, “Finishing that up is your job,” every time I saw you. 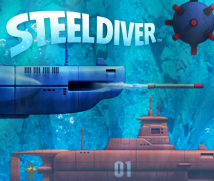 Why did you want to work with Giles’s team on Steel Diver? The company was nearby, so I could visit every day. It was great for us that you could come every day. We could talk over every little thing right away and fine-tune the game’s operability daily, so development proceeded smoothly. Giles’s presence in Kyoto was very beneficial for the progress of development. Also, the way we worked was much the same as it was when I was in EAD, so I was able to experience that atmosphere all over again. How many people were on the team this time? This project included a mix of people from Vitei and EAD. Development proceeded as if EAD had temporarily expanded to Vitei. At first, there was only one mode and we were making it for the Nintendo DSi system. That’s right. At first, it was Nintendo DSiWare7 for download. 7Nintendo DSiWare: Games and applications that can be downloaded in exchange for Nintendo DSi Points from the Nintendo DSi Shop to the Nintendo DSi and Nintendo DSi XL systems. Miyamoto-san, you wanted another shot at that earlier game you had made for the Game Boy system. Right. I needed a director to expand it, so I asked Imamura-san. 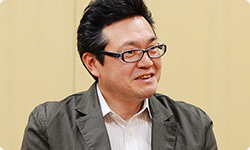 So, Imamura-san, he brought you in after the decision to release it as packaged software for the Nintendo DS system. That’s right. However, Miyamoto-san may not remember this - but before we kicked off Star Fox Command9, he asked me if I would do something with submarines. 9Star Fox Command: A shooting game released for the Nintendo DS system in August 2006 in Japan. You did. So I borrowed the ROM (a version of the game in development) made by Sugiyama-san’s team for the technical demo and studied that. Oh, way back then? Star Fox Command came out in 2006, but you started working on it after the E3 2004? I suppose you had that idea because I had made a bunch of vehicle-related games. (laughs) You had done cars in F-Zero10 and fighter planes in Star Fox! 10F-Zero: A racing game released for the Super Famicom (Super NES) system in November 1990 in Japan. Yeah! 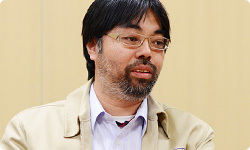 (laughs) Anyway, we had decided to release it as packaged software for the Nintendo DS system, so we increased the number of levels for the previously existing Missions mode, gave Miyamoto-san his second shot at a strategic game by adding the Steel Commander mode, and added the Periscope Strike mode. So it ended up with three modes. Aside from it being a submarine game, could you say everything is different between the modes? Yes. But there’s a bonus periscope game included in Missions, and even in Steel Commander, the battles are played out in Periscope Strike. So there are a few periscope games, there’s quite a mix overall.